When my boys were little, they loved dinosaurs. They could tell you the names of all the dinosaurs, and they could even tell you all about them. Was it a carnivore or an herbivore? They could tell you that. I loved it. Of course I tried to encourage it by giving them dinosaur books and toys. I even made a valance for their window out of dinosaur fabric. Long story short, they would have loved this book! Although most of our dinosaur books are now torn and well-loved, we still have them. This will make a fun addition to our collection. 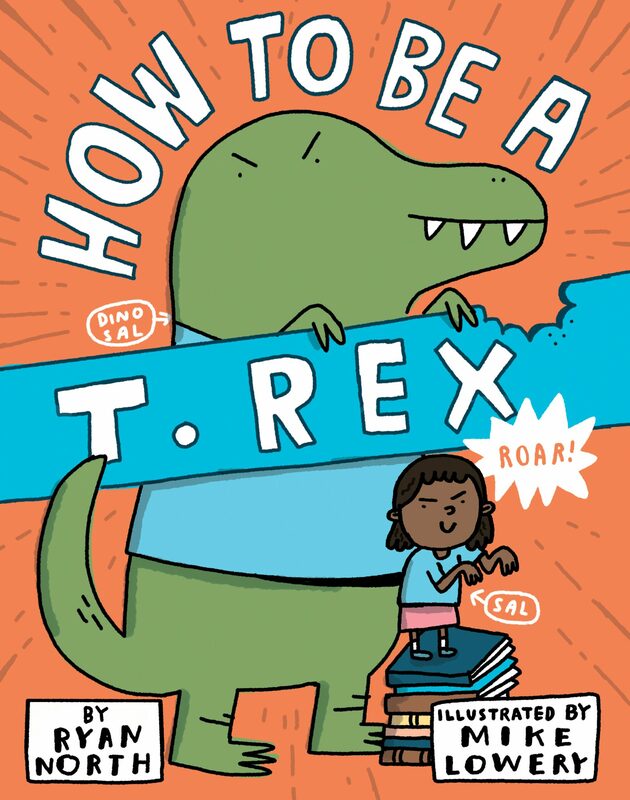 Read all about it in my book review of How To Be A T. Rex by Ryan North. As I said before, this book will be a fun addition to our dinosaur book collection. It’s so cute! The illustrations are well done; they are bright, and colorful, and funny! The characters have great expressions. I also like the formatting with the fonts and the speaking bubbles. The story is clever and funny. Sal wants to be a Tyrannosaurus Rex when she grows up. Who doesn’t, right? I mean they’re big and scary and they probably get anything they want because of it. And they can get away with lots of stuff us normal humans can’t. They ROAR whenever they want to, they eat whatever they want to, and they’re not afraid of anything. But apparently there are also a few downsides to being a T. Rex. What?!?! There are consequences for not being nice? There are consequences for not caring about the little humans’ feelings? Dinosaurs can be sent to their rooms? Are you kidding me?? Is it too much to ask to be 100% awesome 100% of the time? Maybe there are a few things that the precious humans can learn from awesome dinosaurs, and ferocious dinos can learn from the little humans. Sal learns some great lessons in this book! I love how witty this book is. It’s fun, it has some important lessons in it, and I think the kiddos will love it! My book even came with a super fun poster! This is a very fun book and I think it would make a great addition to any home or classroom library. Beware, though—this may be the next book that you read over and over and over! There are lots of picture books out there, and I love a lot of them! Some are funny, some are soothing, some are cutesy, and some teach lessons. This book falls in the last category. I love the lesson it teaches; it’s a big one! 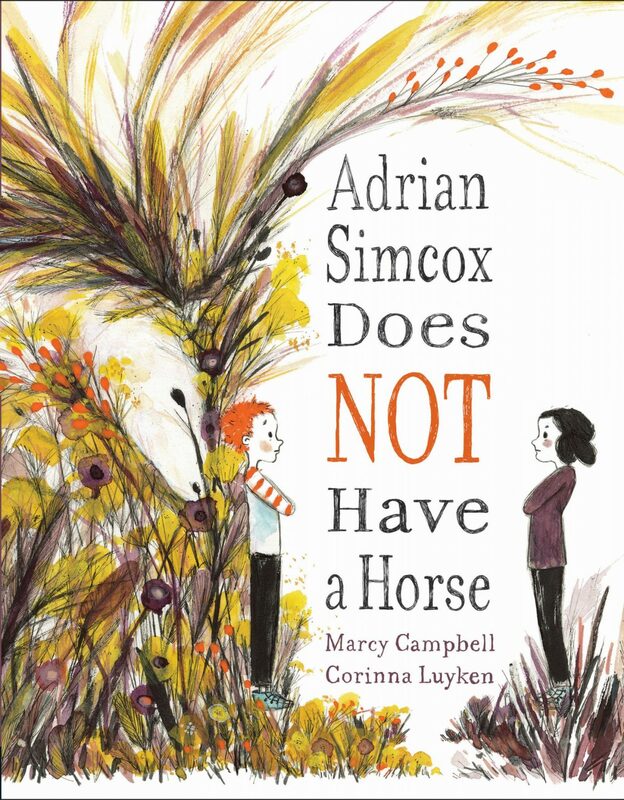 I hope you enjoy my book review of Adrian Simcox Does NOT Have a Horse by Marcy Campbell. “Adrian Simcox tells anyone who will listen that he has a horse–the best and most beautiful horse anywhere. I love the illustrations in this book! They are beautiful! This book was illustrated by Corinna Luyken, and I love her style. It’s part whimsical, part old fashioned, and part childish (in a good way). The people have great expression, it’s full of bright colors, and the illustrations fit perfectly with the story line. I am very impressed with her work. The story line is reminiscent of The Hundred Dresses by Eleanor Estes. It shows how mean and judgmental children can be, but also how forgiving and loving they can be. Sometimes we need to help children get out of their small world and show them that there are all kinds of people out there. We need to show them that everyone has a story, a history, and a desire to be loved. Children need to know that each and every person is unique, important, and has divine worth and potential. And sometimes, parents need to learn those lessons too. It doesn’t matter how much money you have or how big your house is. It doesn’t matter where you grew up or where you live now. It doesn’t matter what kind of car you drive or if you wear the latest fashions. What really matters is how you treat people and how you live your life. Do you have integrity? How do you treat your family members, your neighbors, your co-workers, or those who may have less than you? Is someone worth less because their net worth is less than yours? Do you work hard and try to make the world a better place or do you put others down to make yourself greater? These lessons are deep for a children’s book, but they are poignant and important. Lots of amazing bedtime chats will stem from reading this book. I love books that entertain, are beautiful, and teach an important lesson. This book does all of the above. I highly recommend this book! It would be perfect for either a home or classroom setting. Ooooo…this would be a great way to start the school year! Lately it seems like there has been a lot of discussion about fake news stories. I don’t think I’d heard much about fake news stories until just a few years ago. Because they have been focused on, it makes it seem like printing fake news stories is a new thing. Apparently it’s not! Which sadly makes me feel better. In 1937 there was a story printed about a sea monster off of the coast of Nantucket. Was it real? Were the people of Nantucket doomed to live in daily fear for their lives? 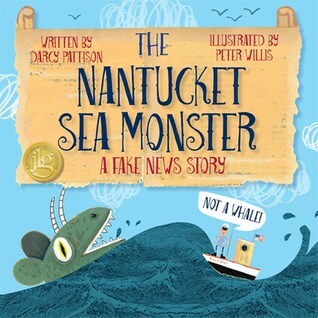 Find out more in my book review of The Nantucket Sea Monster: A Fake News Story by Darcy Pattison. “Do you believe everything you read in the newspaper? Early in August 1937, a news flash came: a sea monster had been spotted lurking off the shore of Nantucket Island. Historically, the Massachusetts island had served as port for whaling ships. Eyewitnesses swore this wasn’t a whale, but some new, fearsome creature. As eyewitness account[s] piled up, newspaper stories of the sea monster spread quickly. Across the nation, people shivered in fear. I haven’t ever heard of this story before! I’m glad that Ms. Pattison has brought it to life for us to learn from. I think the story is well written. It explains the story well and is easy to read and understand. The fact that it’s a nonfiction picture book is great, of course. The illustrations are a little different, but are bright colored and fun. It does have the feel of an earlier time; say maybe 1937? I think they’re well done, and I like the layout of the pages with the speech bubbles, the big headline font, and the quote boxes. Reading this book to a class (or family) would be a great way to start a discussion about non-political fake news stories. It offers a safe way to discuss the pros and cons and the whys of fake news stories. I think it would be fun to split the class into two and have one half write real news stories and the other half write fake news stories. Then try to figure out which ones are which. It’d also be fun to have kids create their own sea monsters. If nothing else, it’s a fun way to get kids interested in reading about history! Make a Teacher Happy: Prevent Summer Brain! 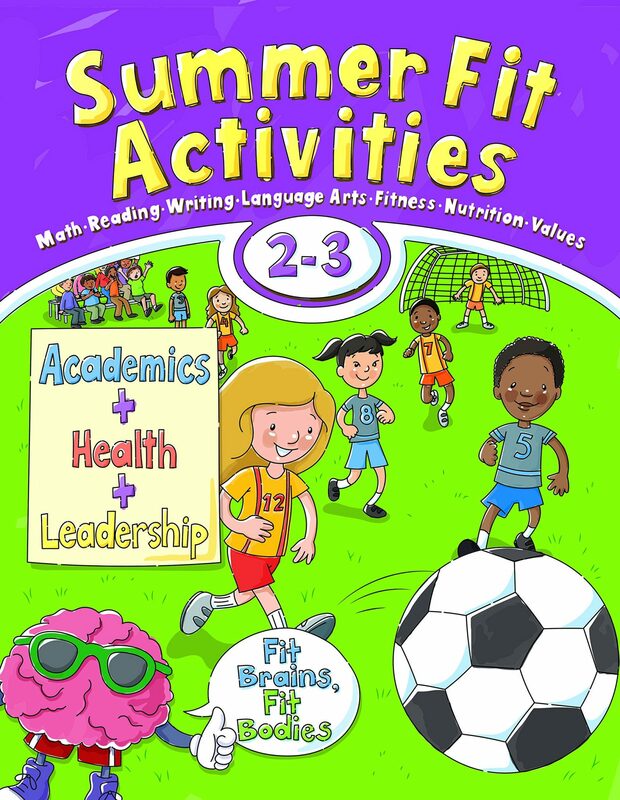 Prevent Summer Brain with Summer Fit Workbooks! Remember last fall when the kids went back to school and had forgotten most of what they’d learned the previous year? It’s called…Summer Brain. Ouch! All of that work–gone. How do you prevent Summer Brain? You have to be a mean mom and make the kids use their brains this summer. I know, it’s hard. I’ve grown callous to the mean summer mom eye rolls because I’ve been doing it for so long. It’s a good thing, I promise. I’ve tried a few different things like printing off my own packets, workbooks, and online programs. I finally settled on the Summer Fit workbooks. It’s so easy and mom friendly! Why Use Summer Fit Workbooks to Prevent Summer Brain? I have used the Summer Fit workbooks for a few years now, and I LOVE them!!! They have a level for each grade in elementary school (they start with pre-K and go to 8th grade), which is great. The workload is the perfect amount. Each day there is a page of reading and a page of math. It isn’t super hard, but it is hard enough to keep the kids from forgetting everything over the summer. I love the Friday material. Every Friday is a value (compassion, determination…..that kind of thing), and it highlights a person who exemplifies that value. The kids do activities surrounding that value and person. Also, each day has an exercise for the kids to do. It’s not hard, but it gets them up and moving. And the great thing about these books is that it eliminates all the mom-work. There’s no searching the internet or printing off individual worksheets; it’s all right there in the book. It makes mom’s job so much easier!!! They even have a book for 7th and 8th graders, which is great because it’s harder to know what the older kids need. I highly recommend the Summer Fit workbooks! This post was first published on 5/23/16; Updated on 5/11/18. When I taught first grade, one of the things I would stress to parents was the importance of rhyming. As a kid I learned all of the nursery rhymes and repeated them often. Rhyming is an important skill for beginning and early readers to master. I love it when rhyming is emphasized in children’s books because it reinforces that skill. So did this book live up to my expectations? 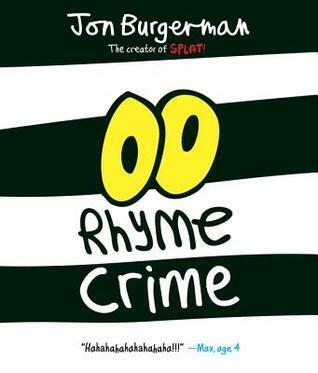 Find out in my book review of Rhyme Crime by Jon Burgerman. “Someone stole Hammy’s hat…and replaced it with a cat! And Marlow’s happy smile…became a crocodile! What rhyme crime is next? Is anyone safe? Good thing YOU are on the case! Rhyming is such an important skill for beginning and early readers, so I love it when children’s books contain rhyming. I love the idea of this book. It has a very clever premise, and it’s funny. I mean, what kid wouldn’t laugh at a hat being replaced by a cat? Or by a smile being replaced by a crocodile? I know my kids and I would spend 15 minutes after reading this book laughing at all the other rhyme thefts we could come up with. The mistake the thief makes is classic. Oops! I know my kids would enjoy that part too. So this book has a lot of good things going for it. I like the premise, the rhyming, the story, and the humor. Unfortunately though, I do not like the illustrations. They’re weird and kind of creepy. They might scare the children they should be entertaining. I don’t know though, because some of the cartoons that are popular right now also have weird looking characters. So maybe it’s just me. Overall, I like this book. I wish the illustrations were a little less creepy, but other than that I think it’s a fun book. The rhyming is good and the humor makes it fun. It would make a good addition to any home or school library. I love this image! It’s my daughter when she was little. She’s twelve now, and of course she’s still cute, but this picture just melts my heart. She’s so little! Okay, back on track! When I taught first grade parents always asked me what they could do to help their child become a better reader. Even now, parents ask me how to help a struggling reader. My answer is always the same! READ to her! Did you know that in my state government officials plan for prisons based on first grade reading ability? That’s right. Crazy, huh? They take the reading ability of the first graders to plan for future prison needs. It’s a little scary to think about! If a child struggles to read through third grade, then there are resources set aside to help her. After third grade, the resources quickly decrease. If a child still struggles to read when she gets to junior high then there are very few resources to help, and even good teachers have moved on. It’s usually not a priority. So what can parents do? Today’s tip on how to help a struggling reader is the easiest and the most fun! READ aloud to your children!! Reading to your kids every day is the best way to help them enjoy reading. What is better than piling on the couch or the bed and enjoying a great book together? Not only is it good quality time together, it also teaches them to enjoy reading. It can be picture books or chapter books, depending on their age, but either way…….Just Read!!! When my daughter (the one in the above photo) was in second grade, she really struggled with reading. 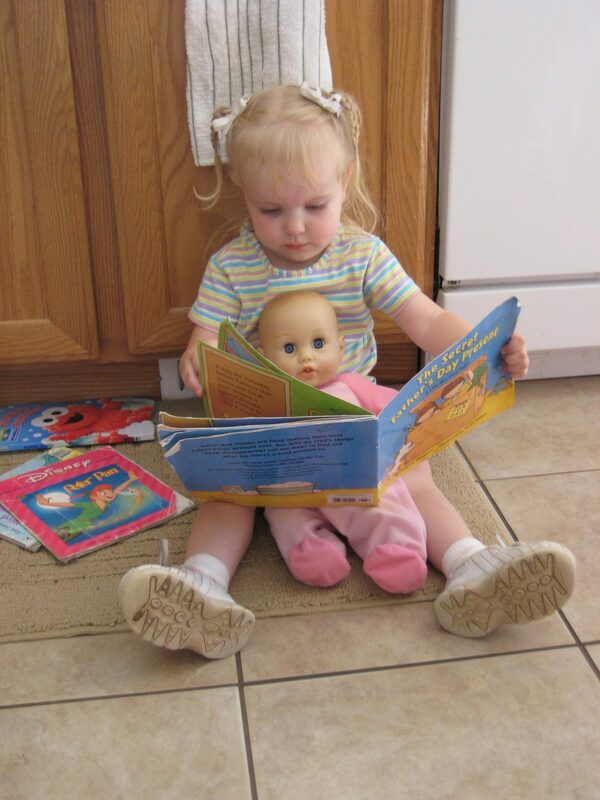 She was my third child and I hate to admit that we had gotten busy and had not been as good at reading every day. At parent teacher conference her teacher told us how much she was struggling and I was surprised. I hadn’t realized! So what did we do? We started reading. A lot. I read aloud to her daily, and usually more than once a day. We read picture books and chapter books. I read aloud and I had her read aloud. What happened? She began to improve. It didn’t happen over night, but by fourth grade she was back where she needed to be. So good, in fact, that she read all of the Harry Potter books in fourth grade. She is now in sixth grade and is doing great. Her teacher gave her a goal of 40 books this year and she has read well over that. Reading aloud works to help struggling readers! They love the time together, they hear your pronunciation, your fluency, and your enjoyment. Struggling readers also learn vocabulary words and background knowledge. They learn that reading is enjoyable. I hope this helps you to know how to help your struggling reader! Here are some of the books I’ve read to my kids over the years. Click on the image to read my review! This post was first published on 2/4/14; updated on 5/3/18. One of my favorite things to do is read to my kids before bed. I love that time we share together. Children’s books are especially fun to read because we can take the time to look at the illustrations. 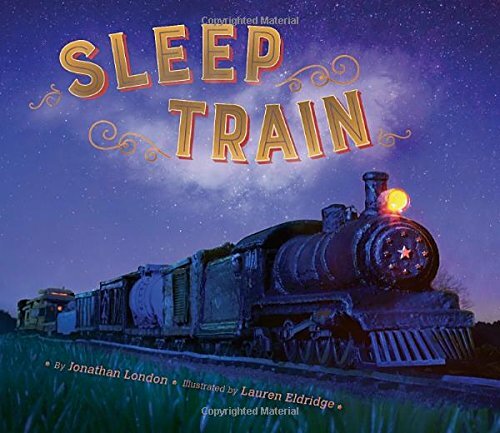 I hope you enjoy my book review of Sleep Train by Jonathan London. A steam whistle softly calls. And catch the sleep train. . . .
until I go to sleep. I have mixed emotions about this book. On one hand, I like the idea of the book. It has a cute premise. The little boy is in bed at home, and instead of counting sheep to go to sleep, he counts the train cars. His imagination puts him on the sleep train to help him doze off. On the other hand, I didn’t love the execution. It’s supposed to be in rhyme, and a lot of it is. However, I’m not sure what happens with some of it because the rhyming just isn’t there. It’s kind of in and out, and the formatting isn’t consistent. I like many of the illustrations and their dream-like feel, but I’m sorry…the little boy looks a little creepy when he’s on the train. He looks fine in the beginning when he’s in his room, but once he’s on the train, he looks like one of those creepy marionette or ventriloquist puppets. I do like the illustrations of the train and its cars though. The most important part of a children’s book is if the kids will like it. I think they will still enjoy it despite its flaws. Many children love trains, and those children, especially, will have fun with this book. I am a sucker for children’s books! I love them! Maybe it’s sentimental; it goes back to when I was a child and my mom read to me. In any case, I still love children’s books even though my kiddos are all getting big. They love them too because they’ll still pull out the picture books and read them occasionally. 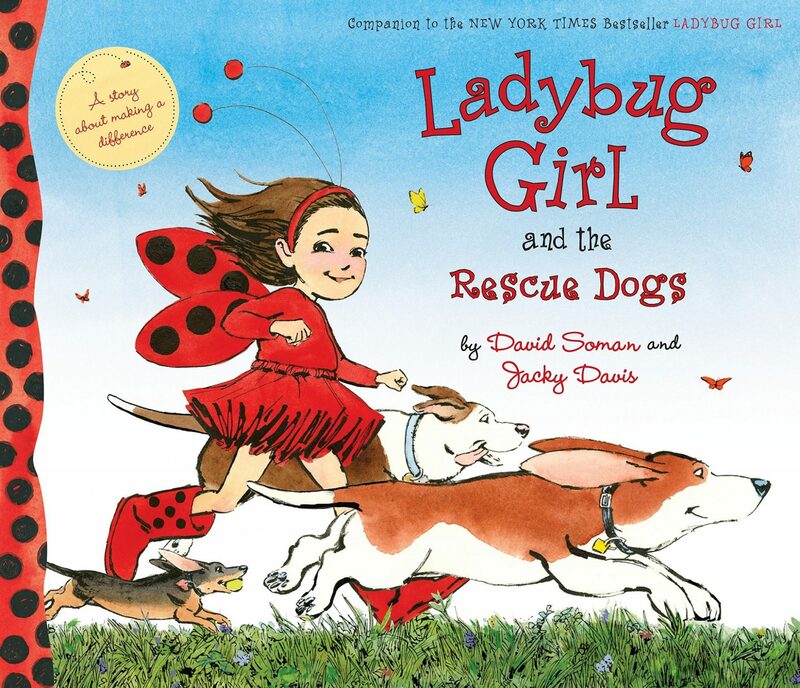 Please enjoy my book review of Ladybug Girl and the Rescue Dogs by David Soman and Jacky Davis. Where have I been? Did you know there are already 11 Ladybug Girl books? This book makes number 12. She is so cute! If I ever go back to teaching first grade, I’ll need the whole set for sure! The illustrations in this book are adorable! My niece’s name is Lucy and we call her Lulu, so I think Aunt Monica better give this book to her for her birthday! Along with darling illustrations, Ladybug Girl and the Rescue Dogs also has a great message. Lulu sees the dogs that don’t have homes and wants to help. Of course, her mom says no to adopting them all, so she needs to think of other ways to help. I like that Lulu is helpful in the story. She doesn’t wait around waiting for directions, she takes initiative. Lulu gets the dogs water, brushes them, and plays with them. At this point she’s joined by the Bug Squad who helps her in her mission. The impromptu dog parade is my favorite part. I like that this book teaches children to help without being asked. It also teaches children that even though they are small, they can still help change the world in small ways. Dog lovers, children, moms, Ladybug Girl wannabes, teachers, and grandparents will all love this book. Have you ever experienced that annoying itch that won’t go away? It’s the worst when you can’t reach it! You’re trying to scratch it with a pen or a wooden spoon handle, but nothing works. That’s what happens to Elephant in this story. Poor guy. 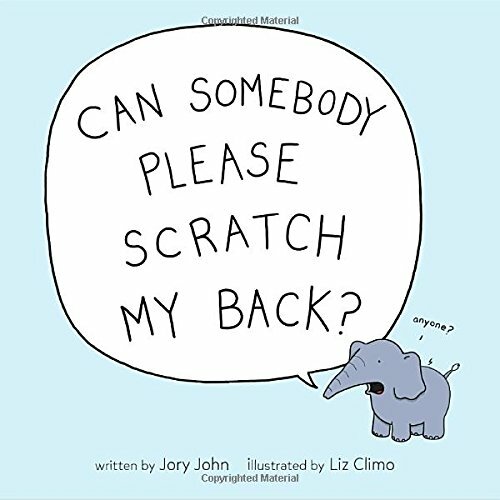 I hope you enjoy my book review of Can Somebody Please Scratch My Back by Jory John. “This elephant has an itch. Can any of the other animals help him scratch his back? 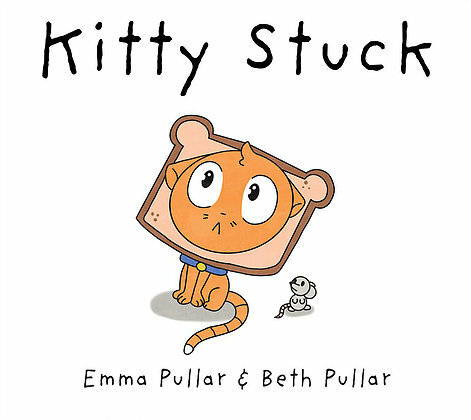 This is such a cute book! I love the adorable little elephant. The illustrations are well done and so darling. I like the font too. Is that weird? Did you know I have a secret love of different fonts? I know, I’m crazy. A lot of the pages in this book are very simple. There’ll just be one little picture with a speech bubble, but it works well. All the different animals are so fun. My favorite is the crocodile; he’s hilarious! I love his big grin. And elephant’s reaction to him is perfect. Oh, the sloth is great too! Haha! Elephant gets more and more desperate with each page you turn, and he gets more frustrated too. With his frustration, he may get a little more cranky as well, which is understandable. So sometimes he’s not as polite or as grateful as he should be. This is the perfect opportunity for parents and teachers to talk about manners and being grateful when people help us. I think this is a darling story. Even though my kids are big, I think I’ll read it to them. My nine-year-old will still enjoy it, at least! This book will make a great addition to any home or class library. And now please excuse me while I go scratch my back (all this talk about itches is making my back itch)!